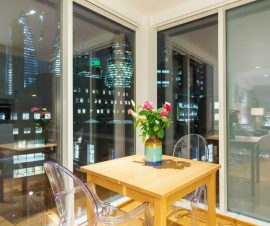 York Way Executive Apartments, King’s Cross : Spacious One-Bedroom Apartment with a large terrace and outdoor table & chairs, overlooking the Regent’s Quarter. Just by the King’s Cross and St Pancras stations, its excellent transport links will bring you quick and easy everywhere around the city. 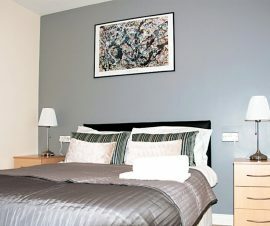 The apartments are equipped with all the modern conveniences to make your stay truly comfortable. We provide free and unlimited business broadband to keep you connected. During your stay, our team will be available 7 days per week, and 24 hours per day for emergency support. Enjoy the comfort of your own private apartment, with the peace of mind that a professional team is on standby should you need assistance.